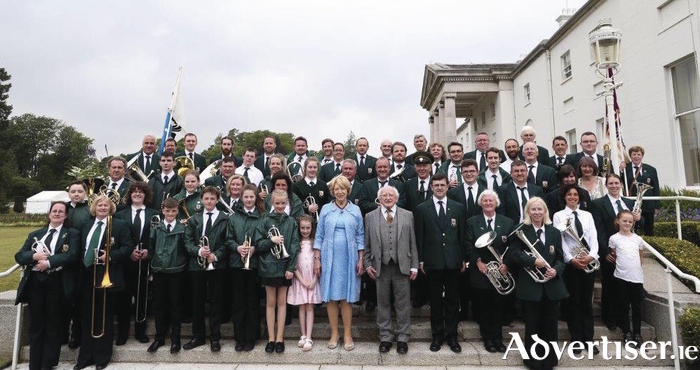 St Patrick's Brass Band with Uachtarán na hÉireann Michael D Higgins and First Lady Sabina. ST PATRICK'S Brass Band holds its annual Christmas concert this weekend, joined by vocalist Nicola McGuire, and the show will also help raise funds for homeless charity COPE. The concert takes place in The Meyrick Hotel on Sunday December 11 at 7pm. Proceeds from the raffle will be in aid of COPE. The long running Galway institution has enjoyed a resurgance in recent years, and members of Galway Ska band Big Jelly started their brass career with St Patrick's.